We often take nature for granted in our urban built environments. And yet, we remain a part of it. We rejoice to see geese flying overhead, and we are devastated when flash floods damage our homes and businesses. For many years, most Saskatoon residents were oblivious to the Northeast Swale, an ancient river channel that stretches for 26 km to the northeast of Saskatoon, starting at Peturrson’s Ravine, just north of the Regional Psychiatric Centre. Now, however, Saskatoon is expanding and planning new neighbourhoods that will encircle the Swale. The Swale, a corridor connecting native prairie uplands and linked wetlands, has a quiet, subtle beauty. Hundreds of ducks nest in the wetlands; herds of deer and a wide variety of plants, including a rare fern less than 5 centimetres high, share the rocky outcroppings. It provides water drainage and retention, clean air and recreation. Just as the river, with its network of trails and paths has been a defining feature of Saskatoon during the past 100 years, the Swale has the potential to be a central feature of our community in the future, similar to Stanley Park in Vancouver or Nose Hill Park in Calgary. In 2002, the City of Saskatoon and the Meewasin Valley Authority approved a set of Guidelines for Development prepared by Stantec. However, as time passed there was growing awareness of the importance of the Swale, and the City agreed to reopen the discussion and update its development plans for this area. Meewasin and the City recognized that developing a resource management plan for the Northeast Swale would be far-reaching, covering everything from road construction to wildlife habitat preservation, and it was agreed to open up the planning process to outside experts, including the Northeast Swale Watchers, a group of concerned citizens intent on preserving a healthy Swale for future generations. The Resource Management Plan provides background information on the geology and ecology of the Swale, including detailed information compiled during several bioblitzes. Here are just a few of the key items from the resource management guidelines. Establishing a network of roads to connect new neighbourhoods with the rest of the city could fragment the Swale and disrupt the natural movement of wildlife in the area. Of particular concern are the roads leading to and from the proposed North Bridge, and the route has been adjusted so as to bypass the most sensitive parts of the Swale. The planners did not believe there was a large enough mammal population to justify wildlife crossings. Instead, they hope to avoid collisions by maintaining an urban feel to the roadway so that traffic will stay at 50 km/hour. Curbs and gutters and same-width lanes will be used, and there will be no median. This should be effective with traffic approaching from developed neighbourhoods to the south, but it will be harder to stop drivers coming off the six-lane bridge from speeding up in what appears to be an undeveloped area. No vegetation will be planted along the roadway that might hide or camouflage animals, and the planners may incorporate below-grade amphibian crossings. The Management Plan calls for the development of greenways to provide a transition zone between the Swale and the backyards facing the Swale. The greenways would provide a buffer from grass and yard plants that can be invasive and would filter out the fertilizer from runoff water. There is also an opportunity for commuter cycle trails along the greenways. The Management Plan recommends the development of a Recreation, Education and Interpretation Plan for the Northeast Swale that will encourage naturalists to visit and provide educational opportunities for young people while discouraging overly intensive use (e.g. mountain biking, unplanned trails, off-leash dog parks) that could erode the soil, introduce invasive species, destroy native plants, and disturb wildlife. In 2011, after a public showing of a film about the Swale, Louise Jones invited other concerned citizens to establish an advocacy group that would speak out to conserve and protect the Swale. 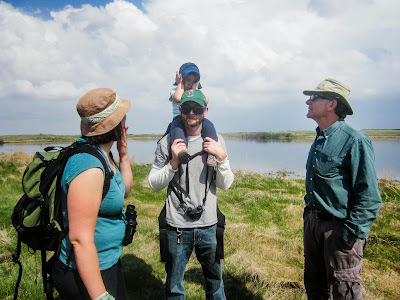 The Northeast Swale Watchers was formed and has become a voice for nature, encouraging the City to be proactive in recognizing the Swale as the “Green Heart of Saskatoon’s northeast” and advocating for protection of the Swale as new neighbourhoods are developed. Members of the Swale Watchers provided technical expertise on wetlands, wildlife, and vegetation in the development of the Resource Management Plan. A group of 18 to 20 people continue to meet on a monthly basis. Speakers at the monthly meetings update the group on specific topics, such as stormwater management and the Province’s plans for the perimeter highway, ensuring that the group’s members are informed and knowledgeable advocates. 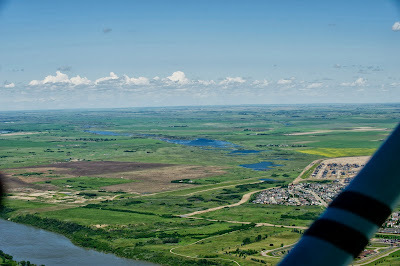 The Swale Watchers emphasize the importance of protecting the greater swale, which stretches for 26 kilometers northeast of Saskatoon and recommend the establishment of a regional planning model in order to address development concerns outside Saskatoon in Corman Park and Aberdeen. The group has hosted a bus tour of the entire swale for City of Saskatoon councillors and administrators as well as two public tours in collaboration with the Saskatoon Nature Society. Louise suggests that other interested groups provide a similar bus tour for the general public, perhaps during the Nature City Festival. The Swale Watchers welcome new members. Contact Louise Jones for further information and check out the group’s Wikispace. 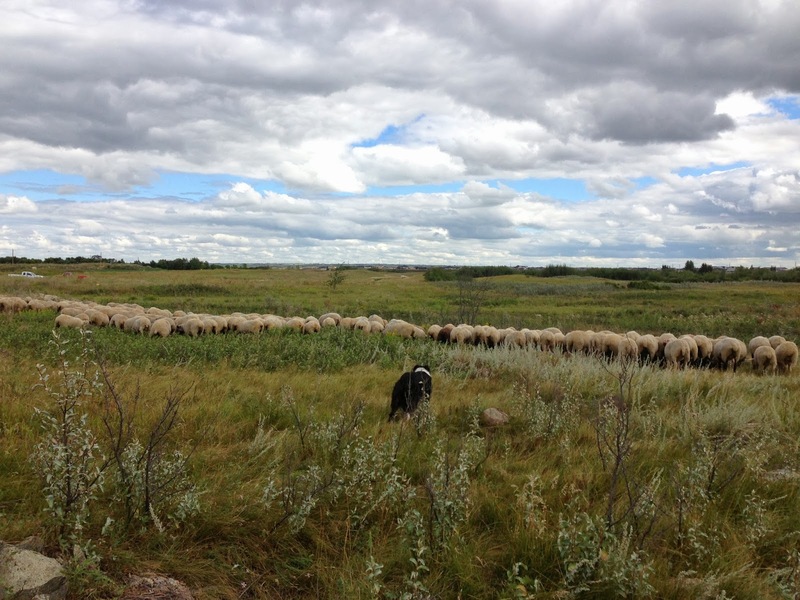 Note: The Resource Management Plan and the film about the Swale will be available shortly on Meewasin’s website.